At steve mckenzie’s, Transitional is a balance of modern and traditional – we like to think of it as if we have a foot in each camp, a happy medium. It’s a style we understand, and feel confident working in. Our James Sofa fits this criteria and is at home in a traditional setting or a more modern setting, with its curved back, rounded arms, clean lines. 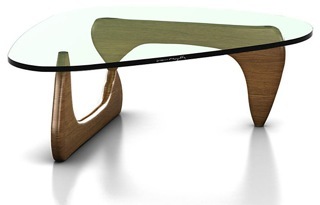 Another transitional piece we adore is the Isamu Noguchi coffee table. Introduced in 1948, the balance of sculptural form and a solid wood base makes it a beautiful and functional addition to a room or office. Consider a vignette in which these two pieces are brought together… Lovely, timeless, clean – it’s TRANSITIONAL. At least according to Steve’s Style Studies.